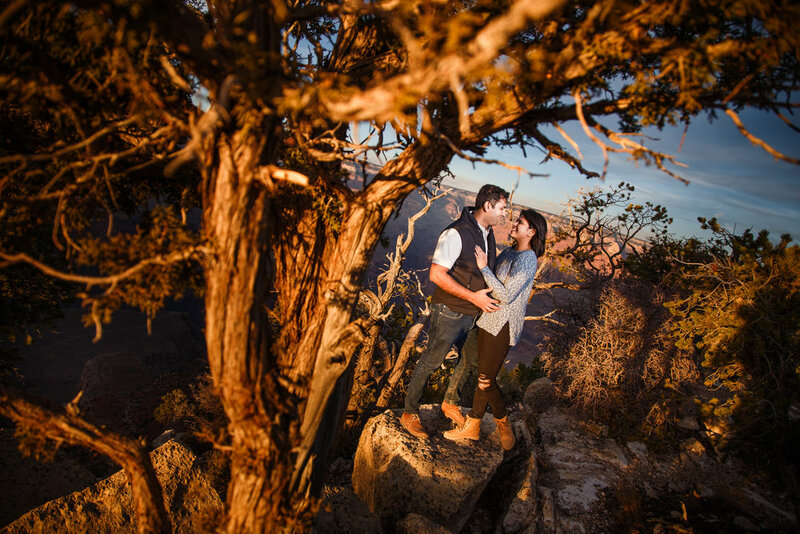 Rohan proposed to Rujuta last November on the South Rim of the Grand Canyon on a beautiful, crisp afternoon. Rohan and I had been in contact for at least a month. 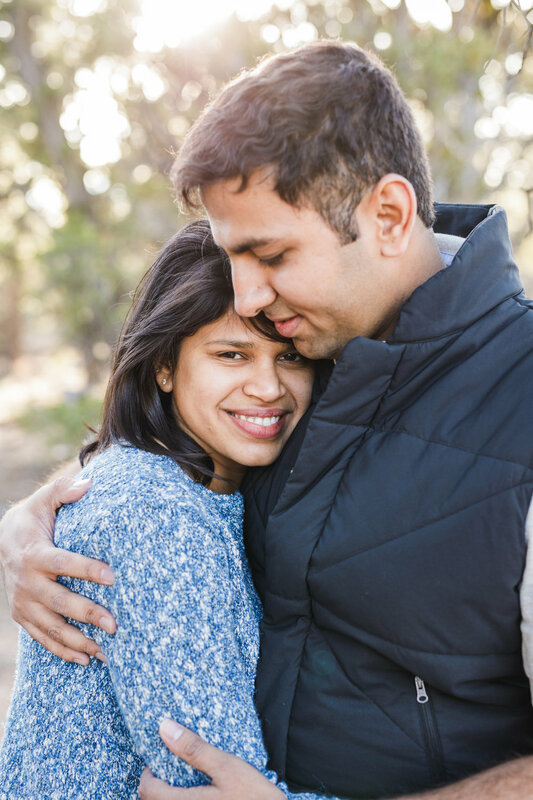 We coordinated our meeting spot and plan for photographing the moment he asked Rujuta to marry him. I love photographing once in a lifetime moments. Asking your "person" to marry you totally qualifies! 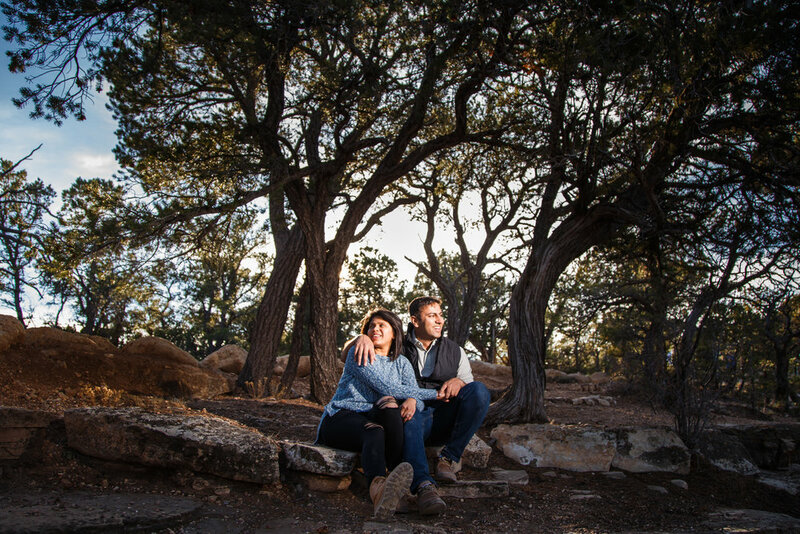 After Rohan dropped to one knee and proposed, and after Rujuta said" yes," we explored the rim of the Grand Canyon between the Geology Museum and Grandeur Point. That stretch offers so many radical views of the canyon as well as interesting forest and rock outcroppings and scraggly piñon pine trees. It never disappoints. As we wrapped up the Grand Canyon offered up an epic sunset. Pretty good afternoon! Enjoy!